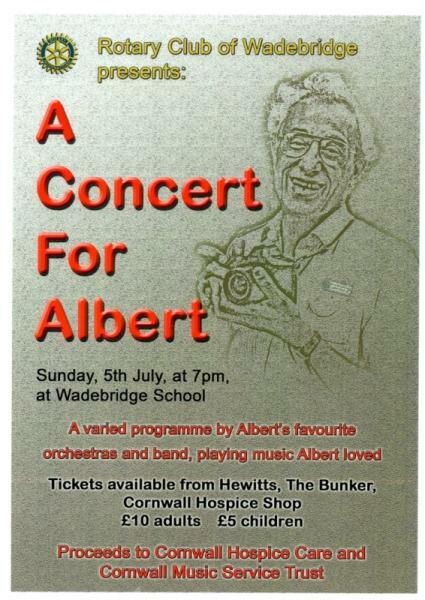 The concert will be at Wadebridge School. Tickets £10 (£5 concessions) Proceeeds will be for Cornwall Hospice Care and Cornwall Music Service Trust. Both of these charities were favoured by the late Rotarian Albert Ridgeley.